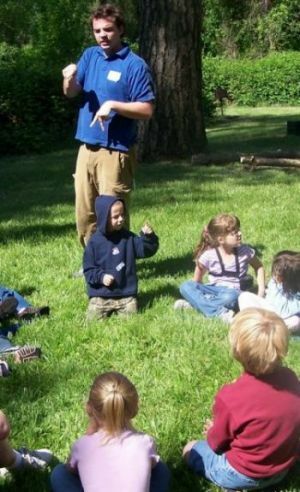 Southern Oregon Education Service District (SOESD) employs approximately thirty sign language interpreters each year to serve students in Jackson, Josephine, Klamath, Lake and Douglas counties. SOESD’s multi-tiered job description encourages interpreters to improve their sign language skills. As their proficiency increases they are able to move up the job scale. The ability to assess and train interpreters requires very specific skills. Most school districts do not have trained personnel in the area of interpreter education. The Southern Oregon Regional Program for Deaf and Hard of Hearing provides supervision, training, mentoring and skill assessments for interpreters throughout the region. Collaboratively, SOESD and the school districts in the five-county area provide quality services to students who are deaf and hard of hearing. Districts rely heavily on the resources at SOESD for expertise in sign language and deaf education. The new standards also create a tougher benchmark. Currently there is a national interpreter shortage and finding qualified interpreters, especially in rural areas, presents its own set of challenges. SOESD is working with interpreters to ensure their ability to pass the new standards—passing the national Educational Interpreter Performance Assessment (EIPA). Through trained mentors at SOESD and continued skills development, SOESD will be able to assure districts that they will be in compliance with the new standards. Our various constituent districts depend on SOESD to insure that they are getting qualified educational interpreters. Fortunately, Southern Oregon ESD maintains a staff of professional, highly skilled sign language interpreters who work in partnership with our component districts. Ongoing recruitment efforts for qualified interpreters require SOESD to provide cutting edge assessment training and supportive supervision.